Some of the typical ways people get over a breakup are by burning keepsakes, binging on ice cream, and drinking oneself into a stupor. 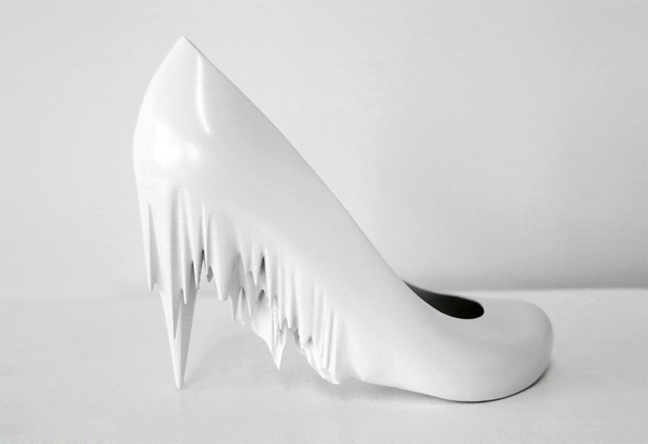 Chilean-born artist Sebastian Errazuriz has something a little different in mind, though. For him, the way to get over a breakup is to create an entire shoe collection. Probably, but it’s also the most creative, inspirational, and fabulous. Errazuriz spent over a year creating the 12-piece shoe collection, saying that the process was “infinitely more complex, revealing, and difficult” than he thought. 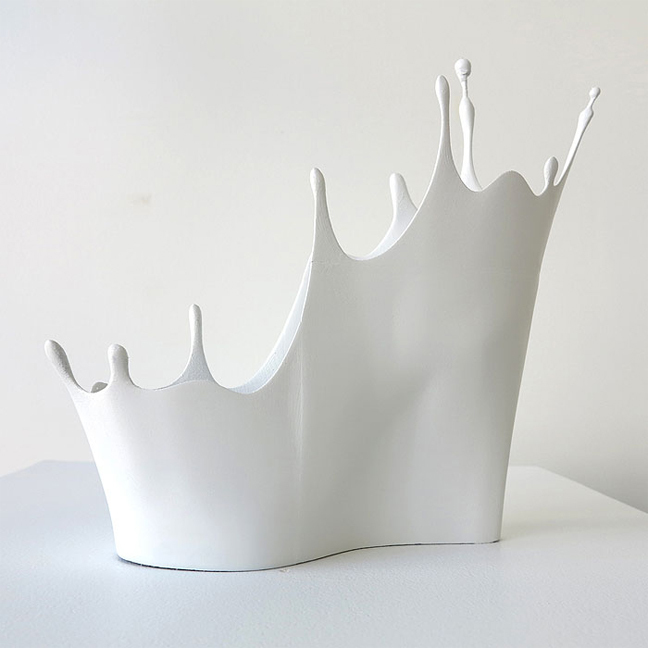 No kidding; not only did he have to relive memories of his past failed relationships, but he also brought his designs to life using 3D printing technology, the concept of which alone is already difficult to grasp. 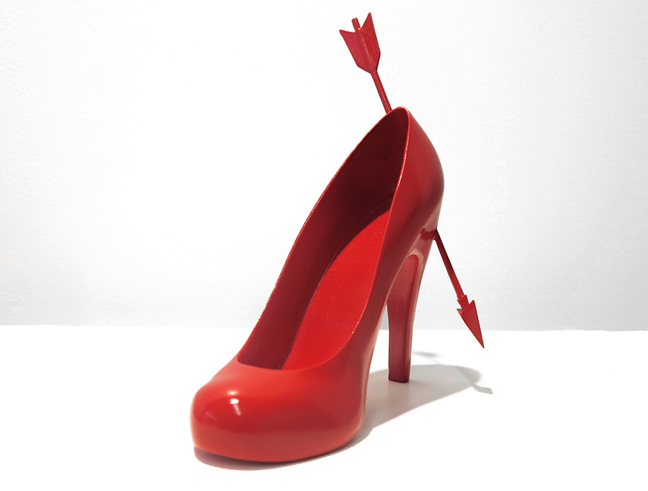 This December, Errazuriz and the public can begin to enjoy the fruits of his labor in a month-long art exhibition titled “12 Shoes for 12 Lovers.” The exhibit won’t open until December 6, but you can get a glimpse of the shoes on the collection’s website where the artist is revealing one design per weekday. 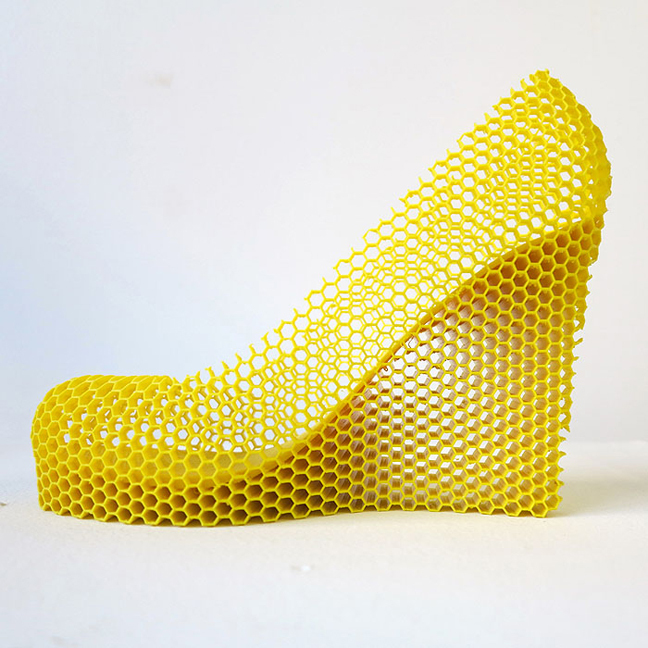 The first shoes he revealed was the “Honey” inspired by Natasha (not his former flame’s real name). In the back story Errazuriz included, Natasha was sweet as honey, but he eventually broke up with her because he wasn’t used to being treated so nicely.